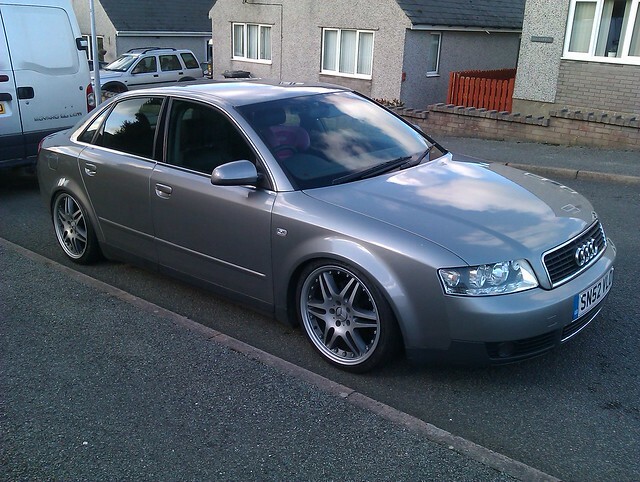 My mrs is having the A4 so I've decided to take the wheels off before they get wrecked ! 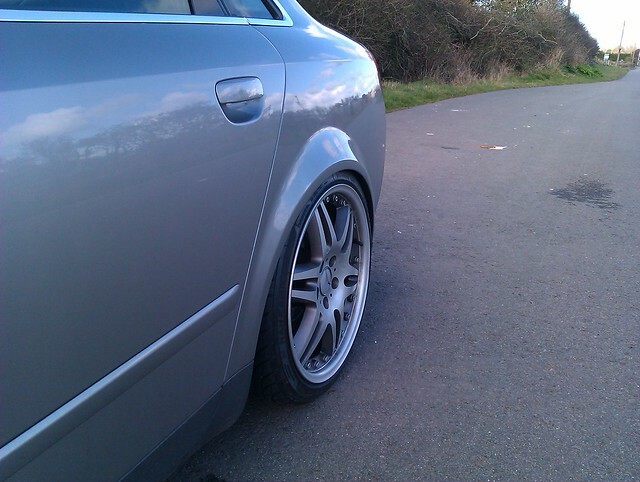 Had these fitted to my Audi A4 and I think they suited it perfectly, right down to the perfect offset of 35mm which gave just enough room to tuck the rears without rubbing and still looking good. 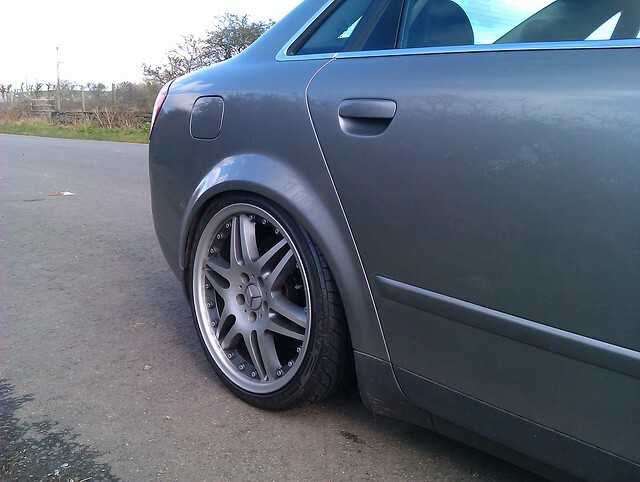 Had lots of compliments on the car with these wheels fitted. The tyres are still on but they're basically shot, down to markers on two and insides bald on the other two. I think they're reps as I can't find any Brabus stampings etc. good strong wheels though. They've had a refurb by someone before I bought them so there not show worthy but still look good. There fake splits but so are the real ones ! If you know what I mean ! If I was keeping them I'd have gotten them powdercoated satin black with new bolts and I think they'd look mean as hell ! They come with as new genuine Brabus B centres and also Mercedes badge centres. 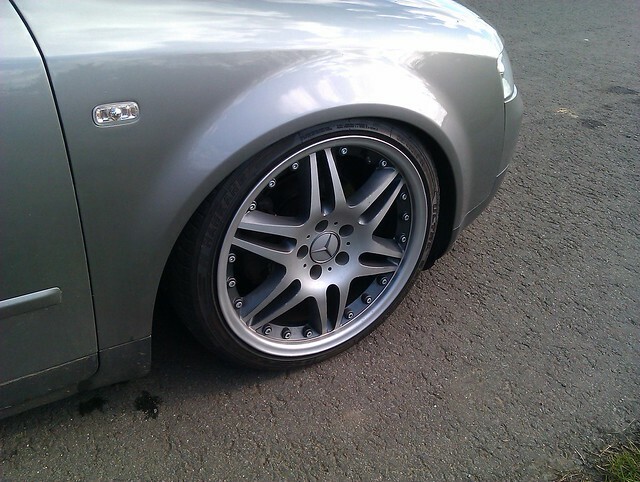 Come with Spigot rings to suit VW/Audi/seat etc.